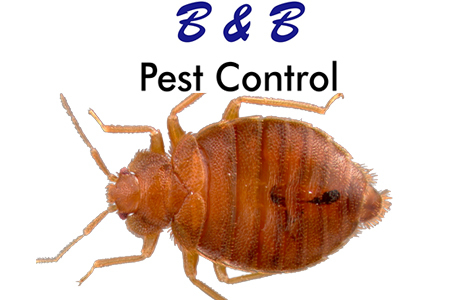 It is unfortunately not uncommon for travelers to discover that their hotel rooms are infested with bed bugs. The high frequency of bed bug sightings in hotels and motels is understandable given the high amount of guests that any given hotel hosts in a week’s time. In most cases when hotel guests complain about bed bug infestations in hotel rooms, the hotel management is apologetic and they typically don’t put up much of an argument when guests seek monetary compensation for the cost of their infested rooms. However, in some cases hotel managers may refuse to acknowledge the existence of bed bugs in a hotel, even when there is clear evidence proving a bed bug presence. This scenario became a reality for a couple staying at a Comfort Inn. Joe and Amanda Lillig from Illinois traveled to Tennessee in order to attend a friend’s wedding. The couple booked a room at the Comfort Inn and Suites after arriving in Smyrna late one evening. The couple went straight to sleep, but they only slept for a couple of hours as something woke them up at 2:30 in the morning. Upon waking, the two immediately found itchy welts all over their bodies, and moments later, the bed bug culprits were found. Joe Lillig responded by calling the front desk in order to report the infestation and to be transferred to a new room. Unfortunately, they were told that the hotel was full and no other rooms were available. Eventually, a hotel staff member visited the room and took note of the infestation herself. The hotel’s management refused to issue monetary compensation; instead the manager offered the couple twelve hundred Choice Hotel Points. Amanda Lillig was furious and she was never compensated for the cost of the room. Amanda’s hand was riddled with bed bug bites, which caused it to swell. The swelling continued and she was eventually rushed to the emergency room. Once she arrived the doctors could not remove her wedding ring due to the swelling, so they had to cut her ring off. After filing several complaints with consumer protection agencies, the hotel finally sent an email to the couple that expressed the management’s apologies, but they denied that a bed bug infestation was ever present in the room. The couple is only asking to be compensated for the cost of the room and the cost of the wedding ring repairs. Sadly, the management has not responded to these reasonable requests. Would you sue over a bed bug issue that a hotel refused to acknowledge? Does it seem like hotels and motels should do more to prevent bed bug infestations?